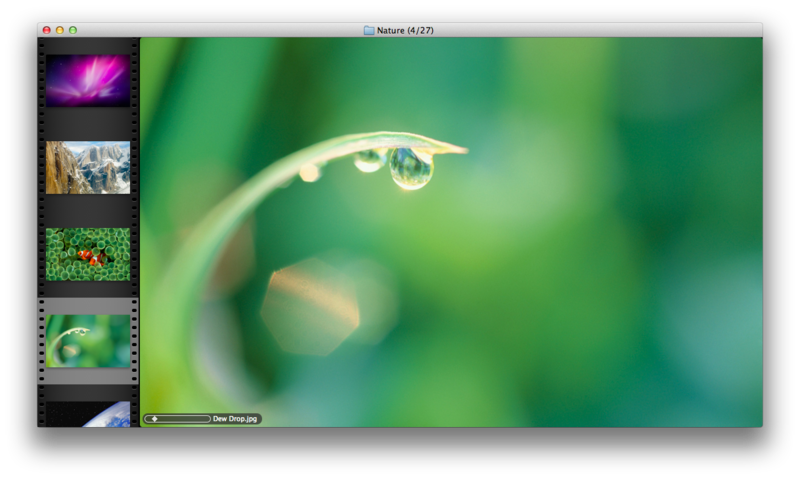 "Sequential 2" is an image viewer for Mac OS X. It was originally designed for opening a folder of images and displaying them in order. It works well for viewing comics, manga as well as image sets. Sequential can display folders and archives (ZIP, RAR, CBZ and CBR) of images (including JPEG, PNG, and GIF). It's fast simple and doing it's job. Looks very simple and easy to manage. y u no like flash apple? It's cool that you can view zip folders, if I understand it correctly, and it's open source! Sounds useful. Does is have a Windows equivalent? I like it that it does images well especially comics. nice, light, free + CBR + CBZ = awesome! looks nice. might come handy. My friend uses this for manga. Good program. i've been using Picasa lol but this looks even nicer, thanks bro. I think it's really cool that it can read CBR files, I have an extensive collection of comic books in digital format. Great for comics. I approve! sounds interesting. i always use the programs already biult on the OS. Free and open source, why not! This is worth a look. Thanks! Looks useful, need to check it out! Cool app! thanks for the tip! Dunno, man, think I'll stick to the usual pic viewer.